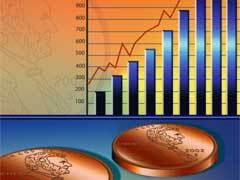 Penny stock investing success comes with meticulous ability to research penny stock companies, reading companies’ reports and media news coverage regarding particular penny stock companies. Staying informed about emerging products and services in the market is equally important while figuring out the list of penny stocks to watch. Many stock market analysts agree that alternative energy projects will remain one of the most promising areas for investments in the coming years. Among green penny stocks, biomass energy stocks could become very good penny stocks to watch with a good potential to increase in price. Medical equipment and technology stocks are also important options to consider. Listed below in no particular order, please find top 10 penny stocks to watch. 1. Ivanhoe Energy (IVAN) is a company involved in heavy crude oil development and possesses copyrights to technology enabling to convert bitumen and heavy oil into crude oil and energy. IVAN’s are definitely penny stocks to watch since the company has operations both in the US and China and due to recent $125 million cash transfer from Royal Dutch Shell for its Chinese portion of the business. Its current trading price (CTP) is $0.81 with 52 weeks high of $1.33. 2. IsoRay (ISR) is working on developing unique isotope medical equipment intended to be used to treat various cancer conditions like prostate, breast, ocular and other types of this disease. ISR has announced very important medical breakthrough essential in treating certain types of breast cancer. CTP $0.75 – 52 wks high $1.60. 3. Elecsys (ESYS) is involved in development of electronic equipment for industrial application. ESYS’s net income was almost 50% high from the last year. CTP $3.97 with high of $5.43. 4. Remark Media (MARK) is a provider of web publishing technology deeply integrated with social networking focus. MARK could be one of great penny stocks to watch due to recent announcement of almost $2 million expansion that will focus on new market acquisitions. $1.81-$7.51. 6. Sequance Communications (SQNS) is working on providing 4G based network conductor chips that are currently being used in the Chinese market trials. This is a huge contributing factor in SQNS stocks incredible appeal among penny stock investors. $2.09 – $3.90. 7. Nanosphere (NSPH) is involved in developing technology that enables to perform medical diagnostics on a molecular level that is sure to provide necessary breakthrough in the field. $2.89 – $3.89. 8. Capstone Turbine Corporation (CPST) offers microturbine systems as one of the up and coming green energy sources, especially for companies involved in oil developing field. CPST microturbines are far superior to their counterparts because of the option to be used with natural gas in remote regions. $0.97 – $1.53. 9. Clean Diesel Technologies (CDTI) works on clean diesel technologies intended to reduce environmentally harmful emissions from large diesel operated trucks. $2.27 – $5.28. 10. Memsic (MEMS) is deeply involved in development and manufacturing of semiconductor sensor technologies and has recently received a very promising offer to purchase its available stocks at $4 each from a large China based Corporation. $3.20 – $5.44. Canadian penny stocks are also worth checking into; refer to this article on best Canadian penny stocks to watch to get some useful stock picks.